Do you remember being a little girl, dreaming about being a Disney Princess? How could you not? Belle got whisked away into some kind of magical adventure, full of danger, excitement, dancing and, of course, inanimate objects that sing. She foils a dastardly villain, falls in love and then goes on to live a happily ever after life. Sign us up for that kind of life! Of course, that kind of stuff doesn't just happen every day, so it takes a little bit of imagination and some great costume accessories to get the job done. 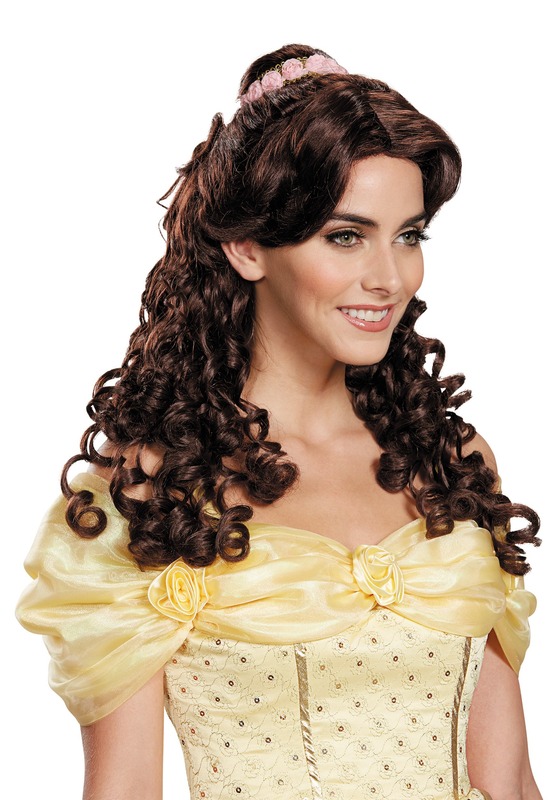 Introducing this Adult Belle Prestige Wig! It's based on the classic Disney movie, Beauty and the Beast, so you can get her signature hairstyle with ease. With synthetic brown locks, it complements your imagination perfectly, so you can have your own adventure. Who knows? You might even be able to find your own Beast to tame while wearing it. Standard Head Circumference Up to 24" Up to 24"